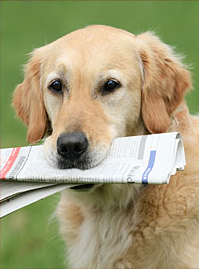 The veterinarians and staff at the Fredericktown Animal Hospital are pleased to provide you with an online newsletter. This fun and fact-filled newsletter is updated on a regular basis. Included in the newsletter are articles pertaining to pet care, information on our animal hospital, as well as news on the latest trends and discoveries in veterinary medicine. September is Happy Cat Month – How Will You Celebrate? Did you know that September is Happy Cat Month? This is great news for all pet owners that experience endless joy from feline companionship. Your cat is important to you, so this is a great time to celebrate them. It is also a great time to engage in education, community and of course happiness! What is Happy Cat Month? CATalyst Council is the founder of Happy Cat Month, which has become an annual event in September. It was designed as an event to serve and educate fellow cat owners in ways to ensure their cats remain happy. There will be many events planned throughout the communities in a way to educate the public about cat’s health. The focus is mainly on spreading the word about the welfare, value and health of cats. Many people tend to view cats more self-reliant, less in need than dogs and overall shy creatures. Happy Cat Month hopes to break those stereotypical boundaries and ensure cats receive the love, companionship and care that they deserve. There are many playthings that your cat would enjoy and it will help to keep them mentally stimulated. Anything from a toy mouse, to catnip, to even a cardboard box can help keep a cat busy and content, even when you’re not in the house! While many cats live inside, it only takes a moment and they will dart out the door. Protect your feline with a microchip. This helps to ensure they are returned to their happy home should anything ever happen to them. Provide a scratching post. This not only protects your furniture but gives you little friend an outlet to play. It also ensures that their claws remain sharp, which apparently makes them quite happy. If you have more love to give, why not consider adopting a cat in need? Most felines prefer to have some companionship with another cat, so this could benefit everyone. Imagine the cuddly times that will occur with even more cats in the home! Nothing is more important than the health of your cat. Ensure that you attend all recommended appointments with the vet and follow their recommendations. This will ensure your cat’s overall health and well-being. • Play some games with them. Cats love being active and it is even more fun when you join in. Consider helping him chase a toy or grab a piece of yarn and start dangling it over her head. In no time, you’ll be enjoying some laughs together. • Treat them to some raw meat. A little piece of beef or poultry can improve the tooth and gum health of your cat. On top of that, they really enjoy the treat. Just be sure to discuss the health of your cat with your vet before you make changes to their diet. • Brush your cat. Not only is it great for their coat, but they adore it. Pet behind the ear and under the chin as well. In no time, you’ll be enjoying some purrs and nudging for more. • Give them a catnip toy. Catnip is a member of the mint family and makes cats. Find quality, organic catnip or a catnip toy for your cat to enjoy and see the fun that they will have. Happy Cat Month shouldn’t just be about once a year, but a complete lifestyle change. Your cat’s health and happiness should always be important and at the forefront of your mind. Be sure to take this month as an opportunity to share the event with other cat owners. You can help them find ways to make their pets feel more valued and loved. Be sure to also look for local events that might be happening in your area. Help Your Dog Overcome the "Back-to-School Blues"
Parents and youngsters aren’t the only ones having adjust to a new schedule every fall. Just as kids grow accustomed to the care-free days of summer, dogs get used to the constant attention and play time that a child’s constant presence brings. 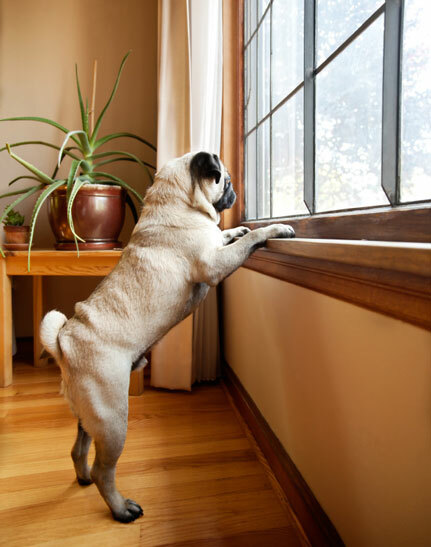 Many dogs will adjust quickly to the change when school begins again, but those prone to separation anxiety may look for ways to lash out. With a little advanced planning and a few tweaks to you and your dog’s morning routine, you can keep your dog relaxed and content while his favorite playmate is gone for the day. Before you know it, your dog’s “back-to-school blues” will be a thing of the past. Contact Fredericktown Animal Hospital for your full-service veterinary needs.